You know that you have to provide maintenance to the panels, the metal system components, and the opener. However, what about the garage door remote? It requires proper care too. After all, it is used at least four times during every work day of the week. When you take good care of it, it remains in excellent condition and performs optimally for a long time to come. You have to inspect the remote control for damage frequently. This is important for receivinga timely fix or replacement. You should watch out for deep scratches and chips and dents. You should pay close attention to the plastic cover over the infrared unit. It should be in good condition. Ensure that the buttons stay securely in place and that they are easy to push as well. You should keep a close eye on the battery compartment as well; check the walls for damage, and the battery contacts for rust. 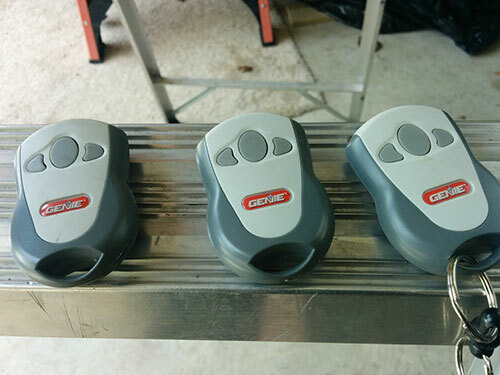 There are two main reasons for cleaning the garage door clicker on a regular basis. Firstly, you will make sure that it stays in good operating condition. Secondly, keep it perfectly hygienic and free from germs. Clean both the exterior components of the device and the battery compartment as well. You need to use soft and dry microfiber cloth for removing dust and dirt which have accumulated on the plastic cover of the infrared unit. If there is dirt stuck between the cover and the casing, try to remove it with a toothpick or a thin tool with a dull end which will not cause accidental damage. You can also use a toothpick or an appropriate tool for removing dirt stuck around the buttons as well. 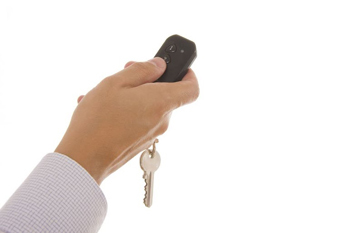 You have to use a soft cloth or a cotton ball dipped in a little bit of white vinegar to clean the plastic casing and the buttons of the garage door opener transmitter. This product, which is found in every kitchen, provides effective cleaning and disinfection as well. It is great for cleaning the battery compartment too. For this, you will benefit from using a cotton swab that will help reach the narrowest sections of the compartment and clean them thoroughly. Use vinegar for removing rust from the battery contacts. Finally, use the same methods, materials and tools for cleaning a wired or wireless garage door keypad which you have installed.